That is the question? 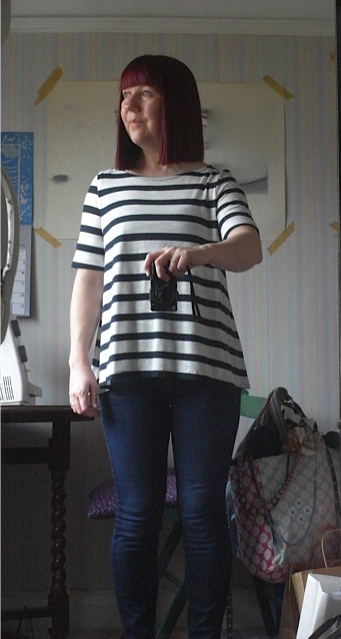 I decided to shorten this stripy top the other week, as I just felt it needed it. I felt something was not quite right with it as it was. Below is the before pic. I think I prefer it. Goes with two different styles of jeans now. 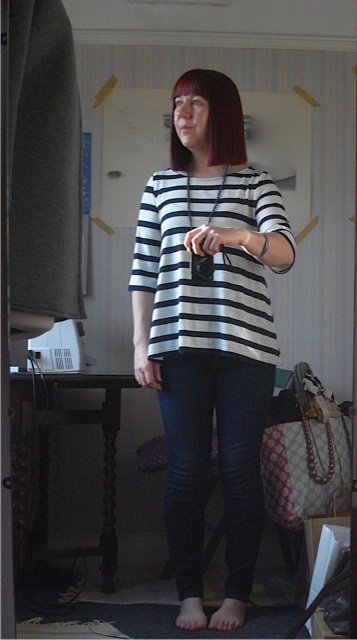 I don’t know though there’s still something I’m not quite sure about with this top. 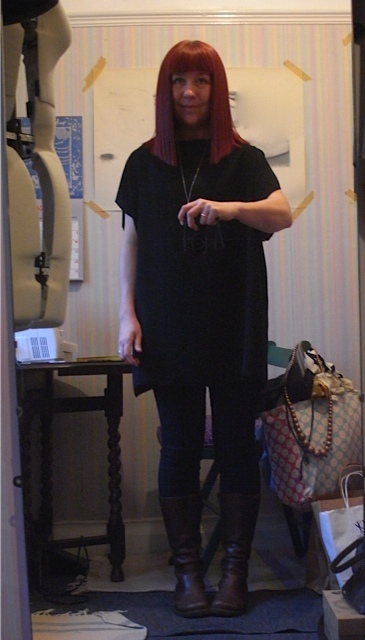 I pondered yesterday on whether to shorten the sleeves, so took this pic. 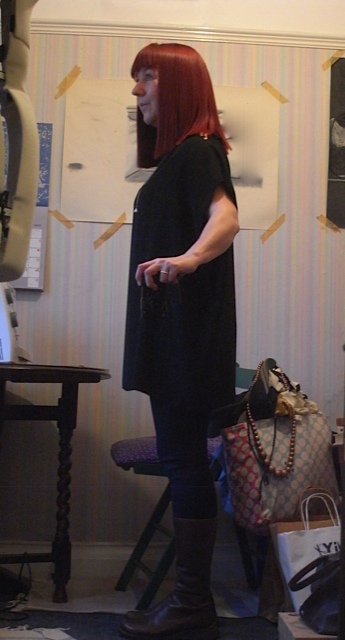 Below is the pic with the sleeves turned up. I immediately thought I loved it, but sensibly took some photos before doing anything about it. 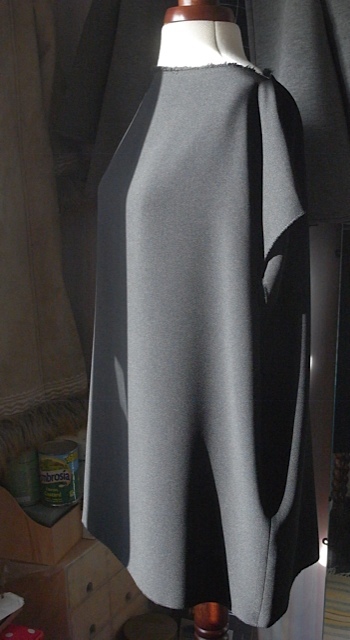 And having compared them I think I’ll leave the sleeves longer, for now anyway. Have you ever made anything that you keep revising? Have you regretted any revisions? I know I have. 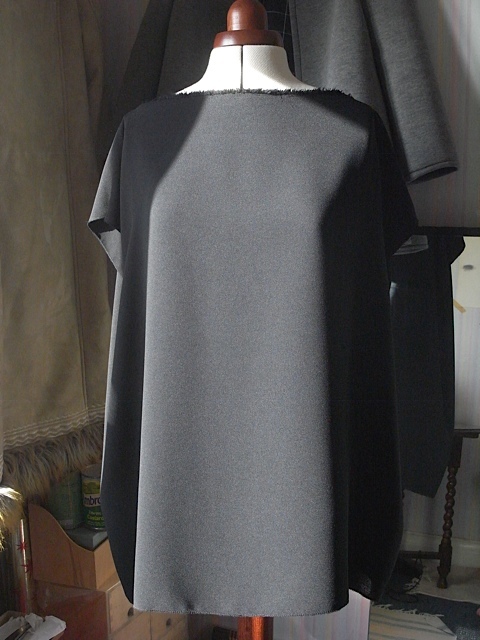 Here’s another simple rectangle top. 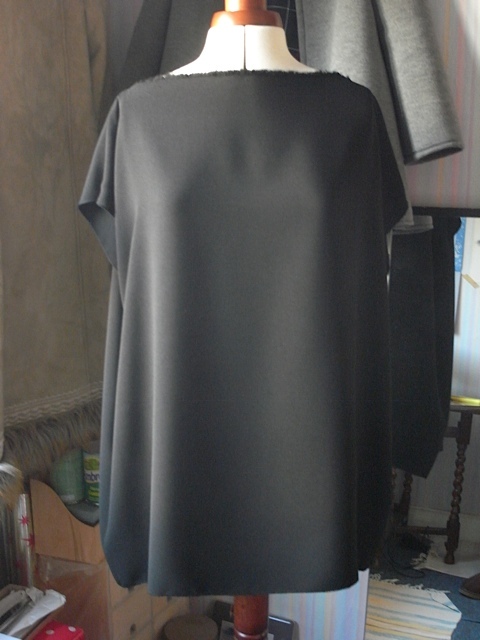 The fabric was £6 a metre and I bought 3 metres, so I shall be making more black crepe tops, but not necessarily rectangle ones. 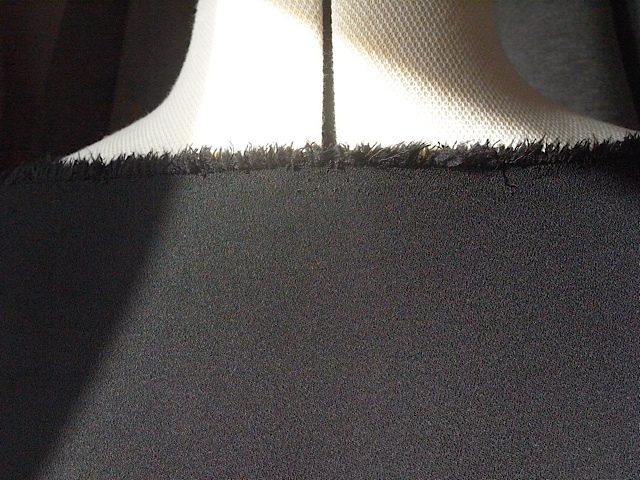 I have again incorporated the selvedge into the top. I think it makes a really nice neck line.